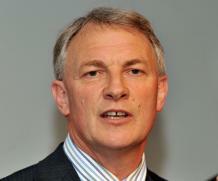 Wellington, July 20 NZPA - National's U-turn on mining is a forced and humiliating back-down rather than a case of the party listening to the people, Labour leader Phil Goff says. Energy and Resources Minister Gerry Brownlee and Conservation Minister Kate Wilkinson today confirmed that the party had ditched plans to remove conservation land in the Coromandel, Great Barrier Island and Paparoa National Park from protected schedule four status so it could be prospected for minerals. Mr Goff said New Zealanders would now celebrate a victory over what was a "mad-cap" scheme, and that any suggestions National had simply listened to the voice of New Zealand were wrong. "It's not listening, it's being forced to change when 40,000 people march up Queen Street and 37,000 people sign a petition saying 'this is stupid and we'll change our votes if you don't change your policy'," he said. "New Zealanders did not want to see their pristine conservation estate in their national parks dug up for mines." Green Party co-leader Metiria Turei said the tens of thousands of New Zealanders who rallied against the mining proposals could take a bow and celebrate the decision. She gave the Government some credit for reacting to public opinion but said it had not gone about the process of selling the proposals well and had been arrogant towards those who spoke out against them. Ms Turei said she was proud of the part her party played in spearheading the charge against mining in the conservation estate. "You look after the things you love, and thousands of New Zealanders have reminded John Key of this simple truth over the last year. As a result, we've changed the agenda on mining in New Zealand." Ms Wilkinson said today 14 areas totalling 12,400 hectares of land would be added to schedule four and future land given classifications similar to schedule four, such as national parks and marine reserves, would automatically become part of schedule four. Ms Turei said that was just a case of rubber-stamping what the Department of Conservation already had on the table, but it was good to see some areas would get automatic protected status in the future. She said while there could be scope to mine in areas where there was no danger of environmental damage being caused, plans to examine parts of Northland and the West Coast were concerning and New Zealanders needed to keep a close eye on the Government's future plans for mineral exploration on Crown land.